We’re just five days away from the Democrats taking control of the House, which means the current Republican majority pretty much has to wrap up its partisan antics before the end of the session. Sure enough, in a Friday night news dump last night, the House Republicans quietly admitted that everything they’ve been “investigating” for the past two years was a complete pile of made-up crap. In fact the House GOP is now trying to pretend that it was never investigating Mueller or his team, and that it was merely trying to pursue some nonsensical concept of fairness. The House GOP is also admitting that there was no basis for its investigation into Hillary’s emails, as she never broke any laws. However, in a laugh out loud twist, the GOP is asking for a Special Counsel to be appointed to further investigate Hillary’s emails. 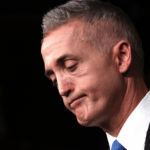 Trey Gowdy, Bob Goodlatte, and their House Republican co-conspirators knowingly carried out investigations that they knew all along were meritless, and then spent the entire time using their sham investigations to spread lies about their political opponents, before ultimately admitting that there was never any basis for it. This is literally criminal. Gowdy and Goodlatte are both retiring, and no decent American will miss them one bit. In fact, we should probably lock them up.